Walter Rodney, the great Marxist historian and activist, was killed on June 13th 1980 by a bomb in his native Guyana. In this essay, originally published by Race Today in 1983, CLR James discusses Rodney's work in relation to the revolutionary seizure of power. Walter Rodney was murdered by the Burnham regime on 13 October, 1980. He was trapped, in the course of his revolutionary activities, by a member of Guyana’s army, into handling a device which exploded and killed him. This was a highly charged political event for three main reasons: Walter was an internationally respected and admired Marxist historian active in the revolutionary movement in Guyana and the Caribbean; he was viewed by the people of Guyana, the Caribbean and the black world as the alternative to the bankrupt, political leaders in the region; and find finally, the Caribbean itself had been simmering since 1968 with revolutionary upheavals and social revolt. Much if not all of the responses sought to explain Walter’s assassination in the following terms: “Burnham, the evil demagogue murdered Walter, the good revolutionary”. While this moral approach did little harm, it failed to analyse the event in political terms, with a view to clarifying the way forward for the Caribbean revolutionary movement which suffered a mortal blow on Walter’s death. Enter CLR James to deliver a lecture, at a memorial symposium titled, Walter Rodney, Revolutionary & Scholar: A Tribute, held on 30 January 1981 at the University of California, USA. James knew Walter well, had held Marxist classes in which Walter had participated, and apart from being Caribbean-born himself, contributes to the development of the Caribbean Revolutionary movement. In his address, James located Walter’s assassination within the context of the Seizure of Power. For James, The Seizure of Power by revolutionary forces is the main item on the political agenda of every single Caribbean country. His view is that Walter’s method of proceeding to that goal was wrong and he outlines the correct approach. 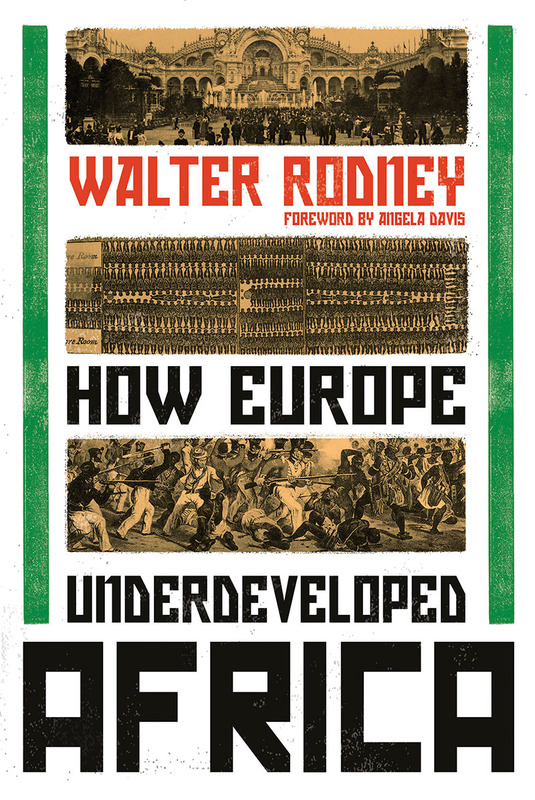 Walter Rodney and the Question of Power is an indispensable handbook for revolutionaries. Race Today Collective, March, 1983. Abraham Lincoln, whom I respect enormously, made a beautiful remark in his Gettysburg Address. He said, “The world will little note, nor long remember what we say here.” He was quite wrong; they have noted it and remembered it. What we say here this morning, the world will not long note-nor long remember, but you are going to remember. It is going to be with you a part of your life, because what I am talking about is the intellectual preparation for the future safety and development of the Caribbean — and some other territories also. So I am not merely giving a lecture about Walter Rodney. I happen to be doing that because Walter Rodney was what he was. Firstly, I am going to tell you something about Walter that the other people who spoke about him did not say. Secondly, I am going to deal with what Walter did not know and what he should have known, and what you will have to know; if you do not pay the proper attention, you will pay the consequences for it. Then thirdly, I will show that this catastrophe took place because of what Walter of what Walter did not know. Finally, I will tell you what to do henceforth so that you, will never find yourselves in the situation in which Walter found himself, so that you prepare yourselves and everybody around you for similar situations in order to be able to handle them. First, what kind of person was Walter? You think you know, but you do not. Walter was born in 1942. In 1936, Dr.-W.E.B. DuBois had written his superb book Black Reconstruction. I know no finer single-volume history of any episode or any territory than Black Reconstruction. Two years later, by some accident of the time, I had written The Black Jacobins, the first statement of revolutionary policy and instruction for the revolutionary development of the colonial countries. At just about that time, Aime Cesaire had written Return to My Native Land. Around the same time, in 1934, Learie Constantine, with my help, had published a book, Cricket and I. A West Indian, for the first time, spoke to the world at large and to the Caribbean about an event in which many people of the world were interested. In 1936 I published my novel, Mintey Alley, the first West Indian novel published in Great Britain. I emphasize that all this took place before Walter was born. Now I, Aime Cesaire, George Padmore, Dr. Dubois and other were faced with a particular challenge. As we grew up and went along, we had to fight the doctrines of the imperialist powers in order to establish some Caribbean foundation or foundations for the underdeveloped peoples. Walter did not have to do that. The aforementioned works were written before he was born. Walter grew up in an atmosphere where for the first time a generation of West Indian intellectuals was able, not only to study the revolutionary and creative works that had been created in Europe, but also to benefit from and be master of what had been done in the same tradition in direct reference to the Caribbean. Walter’s generation, therefore, was nurtured by something special and out of the ordinary in the experience of the victims of imperialism. There are not many people like that. An entirely new generation of West Indians was born as a result. That is what Walter Rodney represented, and I am sure none of you have thought about that at all. To be born in 1942 was to have behind you a whole body of work dealing in the best way with the emerging situation in the Caribbean and the colonial world. 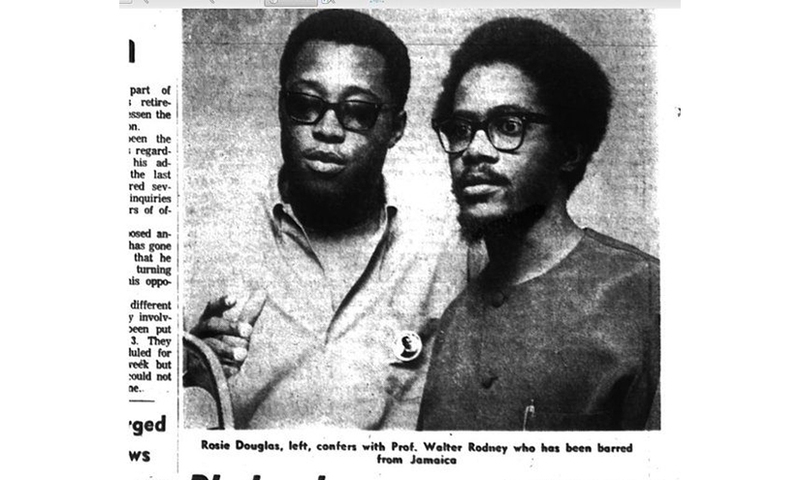 That was Walter Rodney. He grew up in the world of the wars and also in a world where Nkrumah succeeded in securing independence for the Gold Coast and establishing Ghana; then a little later Nyerere did so for Tanganyika, which united with Zanzibar to become Tanzania. Walter had an upbringing and development which many of you cannot quite appreciate, because to you it is natural. To him, it was not it was something new. That is why when he completed his studies, he was able to build on these foundations. The work that had been necessary to motivate him to study Africa and the Caribbean had been done already. That is an aspect of the importance of the personality and particular politics of Walter Rodney. That is Walter’s background. You do not understand him unless you understand that. He was able to look upon the revolutionary ideas, perspectives and analysis of the Caribbean as something natural, normal, fixed, written and beyond dispute. That is what sent him along the path he followed to Africa. Now I come to something more difficult. What did Walter not know? Walter had not studied the taking of power. I am going to emphasize that because you have to do that. The taking of power has to become the common discussion among the Caribbean people and intellectuals so that all will know it; so that, as young people grow up and develop and begin to look at history, they begin to see not only what has been done to us, but what we have done, what we have achieved, and what we have to do. You begin to talk and to think about the taking of power, because that is what faces you now. I am serious about it. Some of you may think I am too serious about it. Let that be. History will decide. Walter did not study exactly the taking of power, and that is what I am going into. In Lenin’s lecture on the 1905 revolution, which was given on 22 January 1917, he said “We of the older generation may not live to see the decisive battles of this coming revolution.” Note that: it is a long way out. “But, I can, I believe, express the confident hope that the youth which is working so splendidly in the socialist movement of Switzerland, and of the whole world, will be fortunate enough not only to fight, but also to win, in the coming proletarian revolution.” He mentioned the Soviets, but he spent about ten lines on the Soviets in 1905 in a lecture of about ten pages. On 22 January, he cautioned that he might not live to see the revolution. Yet in March it was there. I wonder if you get the significance of that. That is what happened to Lenin. You never can tell. Marx phrases it like this, “The revolution comes like a thief in the night.” And he had studied this all his life. Now Walter did not quite get that. He was not aware of that. The second thing I want to suggest to you, as party of your studies for the future, is “Marxism and Insurrection.” It is a letter to the Central Committee of the Russian party during the preparation of the Russian Revolution, September 13-14. “To be successful,” says Lenin in writing to his party about the imminence of the October revolution, “insurrection must rely not upon conspiracy [you can’t whisper it]and not upon a party.”  Lenin says, “Not upon a party.” You cannot depend upon a party to seize the power. Not upon a party, “But upon the advanced class.” There are three points. The first point is that insurrection must rely upon a revolutionary upsurge of the people. There was one in Trinidad in 1970. There was one in Trinidad in 1937 and 1938 – and not only in Trinidad but right through the Caribbean. In Jamaica it is said that the country was in such a state that the governor caught some sort of disease and died. It was too much for him. You can govern when the people are quiet, but when they become not only unquiet, but revolutionary, you get diseases from that. That is the second point. Insurrection must rely upon that turning point in the history of the growing revolution when the activity of the advance ranks of the people is at its height., when the vacillations in the ranks of the enemy have made them weakest, and when the supporting friends are strongest. That is the third point. Firstly, there must be a clash, a revolutionary upsurge of the people. Then, secondly, there must be a turning point, when the activity of the advanced ranks is at its height; and thirdly, the enemy must be vacillation. Those are the three points. You will find them in “Marxism and Insurrection,” and Walter was not aware of those. They did not matter to him in the sense that they were vital questions in his approach to the particular problem. There must be an advanced class. There was one. There were advanced classes in the Caribbean, but they were not in conflict with the rulers. They were not in conflict with the population as they were in 1937 or 1938, as they were in Trinidad in 1970, and as I told them to be aware that it might happen in 1980 and 1981, because you cannot know when this is coming. Lenin in January 1917 was saying that he did not know whether he would hold out long enough. You have to get that into your heads. And, number two, you must be aware that you do not know. So you must be ready. And there must be this conflict between the mass of the population and the government. Those conditions are necessary, and Walter was not aware of the,. Walter did not take them into consideration. Walter was a very advanced Marxist, very advance indeed. But the advanced Marxist today in particular must be advanced with regard to the art and circumstances of insurrection. We in the Caribbean are not that way. We in the English-speaking Caribbean are dominated by the Westminister model In the French islands they are different, because they have the great tradition of the French Revolution. Walter returned to Guyana to be head of the history department at the university, and one of the grossest blunders of the notorious blunderer Forbes Linden Burnham was not to allow him to go to the university and start to teach. Undoubtedly Walter would not have spent the rest of his life teaching in a university, but he would have spent some time there and things would not have been so tense. But, although the appropriate committee appointed him, Burnham panicked and had the decision reversed. It was because of panic that he did not let Walter go. And Walter started to work in a country that was some what advanced politically, because Jagan had insisted that he was a Marxist, entirely connected, and the man of Moscow. Jagan was revolutionary in London, he was terrific in Cuba, he was wonderful in Moscow. I must say, in the air he was, but the moment his place reached Guyana, that disappeared. Jagan came down and he said, “I haven’t got a majority. So I have to manage – with a minority.” But, nevertheless, he had spread the doctrine of Marxism and people knew he had spread it. Therefore, when Burnham came to power, Burnham had to find something. Jagan had spoiled the basic ground for him. So he discovered a new one, the Cooperative Socialist Society, and 80 percent of the economy of Guyana was in the hands of Burnham today. All it means is that, instead of being exploited by the foreign bureaucrat, the Guyanese are now exploited by the local bureaucrat, which in many cases is worse than the foreigner. 80 percent of the economy is in one hand. And on the other side, there is Jagan, who speaks about Marxism, as he has done for fifteen or twenty years, making periodic visits to Cuba and to Moscow. Walter went into that highly charged situation with people who were familiar with ideas but not with revolutionary organization, which has nothing to do with the party. A party may organize, but that is not it. As Lenin says, the party can be in conflict. In 1937 and 1938 and in 1970, here was no party to organize the masses. The Stalinists and the rest of them have corrupted Marxist thinking and made the party everything. A party is not useful. May people thing that when say the party is not so necessary I mean the leader. There are always leaders. The Roman Catholic Church has leaders: they elect the Pope, don’t they? So Walter found a difficult situation. He had to find something that would meet the needs of the population and yet be opposed to what Burnham and Jagan had already done – Burnham with 80 percent of the economy in his own hands, and Jagan with his fifteen or twenty years of Marxism and his bookshop, and so on. What Walter did is a test of his quality. One of the first things he tried was to seek out Jagan and say, “Look, let us stop this business, this Jagan versus Burnham, this black versus East Indian situation. Let us come to terms about this.” This was a farseeing political move. He did that; but he dealt with Jagan; who had been trained in Moscow, and when you have been trained in Moscow, you are a very strange individual. Jagan presented him a document for the basis of the unified discussion. It was shown to me – let us leave that there. Later Walter was able to get people together and decide to form an anti-Burnham organization that would include Jagan and the People’s Progressive Party (PPP). Jagan, however, insisted that the coalition should also incorporate Burnham and the People’s National Congress (PNC). He wanted to form an anti-Burnham organization with Burnham in it. In other words, he could not; the idea of living without the conflict between Jagan and Burnham was fantastic to him. This proposition was rejected, Jagan then agreed to join. But he came as Lenin’s great phrase says, “one step forward, two steps backwards.” In fact Jagan came one step forward and any number backward. Ultimately, then, Walter formed an organization. He has to start an organization. He had spent sometime on it and he formed it. He was the chief person of the Working People’s Alliance (WPA). He recognized that Burnham meant mischief and that he was prepared to use all power, the armed power of the state, to destroy the opposition. Rodney knew that and he tried to organize against it. And he organized wrong. A key problems in the face of overwhelming state power is how to arm oneself against it. In fact, the arms for a revolution are there: the police and the army have them. What you have to do is win over a section of the army, and you have arms. And you could also take away arms from the government. A revolution is made with arms, but a revolution is made by the revolutionary spirit of the great mass of the population. And you have to wait for that. Lenin in 1917 in January did not know that it was coming two or three months afterwards in Russia. You have to wait. You do not know. There is no calculation. It comes, as Marx says, like a thief in the night. So you had better be ready. Walter saw that his WPA had many good things about it, but he realized that Burnham was ready with the police and the army. He had them to use against the revolutionary movement and against the people. And Walter became too nervous, too anxious about it. He did not wait for the revolutionary people and the revolutionary class to be in conflict with the government before he could start the question of the insurrection. For Walter it was urgent. Burnham had used the phrase “Prepare your wills.” This meant – and I know Burnham quite well – that he was going to use any means; but you had to have certain kinds of means that you could use. You could not just have any means. So Walter was expecting a civil war. A civil war took place in Kenya, and a civil war took place in Cuba, but the people of Guyana were not ready for civil war. The working class by and large was with Walter, the leader, but they were not in any mortal conflict with the government. I will give you an episode that proves that without any doubt. As Burnham watched the working class getting together and taking part in demonstrations against the government, he threatened to disallow the funds that the labour leaders were receiving from the employers and by which they lived. Whereupon these fellows, faced with what was a difficult situation, drew back; and for the moment the working class was being led by leaders who were not at any time very revolutionary, though they were on the way to becoming so. In any case, they faced the breakup of their organizations. The temper of the working class went down. That was number one: they were not ready. By good fortune, we have the example of where in the Caribbean they have been ready. They were ready in 1937 and 1938 under Uriah Butler , they were ready in Trinidad in 1970, they were ready in Jamaica about 1937 and 1938. But they were not really ready in Guyana when Walter was there to lead the,. It can come with sudden speed; but you must wait for it. The second point where Walter was wrong is that, although he was aware of the lack of revolutionary experience and revolutionary temper among the leaders whom he had, he did not train them and spend every minute of the day training them in the essentials, not of Marxism in general, but of the taking of power. Because the question of the taking of power is a question thousands of years old. IT does not depend on the knowledge of Marxism. It is a knowledge that there is somebody waiting to destroy you. But Walter did not do that. Instead, he took on all sorts of activities, on the conception that he had to show them that he was not asking anybody to do anything that he would no do himself. That is why Walter found himself in a car with a member of Burnham’s army making some arrangement about some gadget that turned out to be an explosive. He should never have been there. No political leader had any right to be there. Not only should he have never been there, the people around him should have seen to it that he was not in any such position. That was a fundamental mistake, and it was apolitical mistake. IT was not a mistake in personal judgment. It was because he was doing all sorts of things to show them that revolutionary is prepared to do anything. And that was not the way. 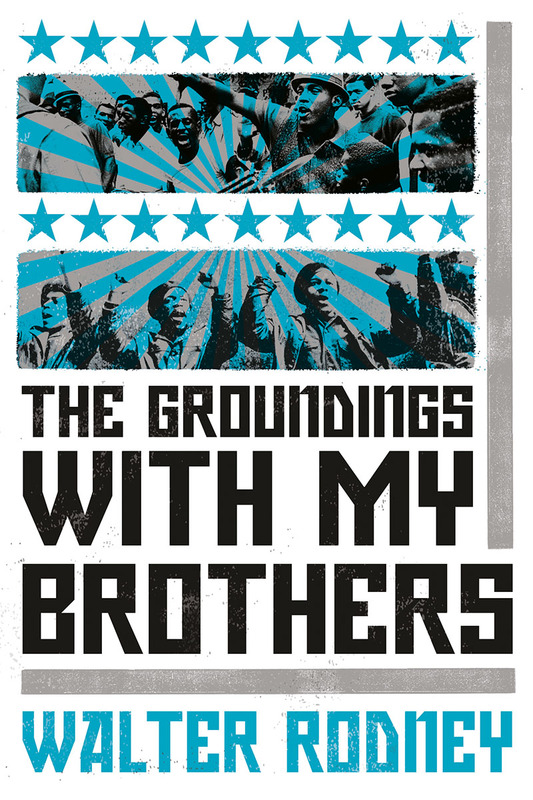 In the middle of the Russian Revolution, they were locking up leaders and their followers to tell them, “Go to Finland, get out of here, or you will be arrested. They will have a trial and the judge will condemn you to death. Or even before you are brought out, they will shoot you in the jail.” They had to chase Lenin out. Walter should never have been in that situation. Never, I hope you agree with me, and I hope you realize that that was fundamental mistake, a political mistake. It is the business of a political organization to protect its leaders and its important people. So the whole tendency was as if he was already ready for a civil war. And even if he was ready for civil war, no leader should have been in that situation at all. And the assassin, I believe, has disappeared. He was an agent of the Burnham government. Everybody has talked about he murder, but they have not talked about that. This question of the seizure of power, and the relations between those who want to seize the power is a question posed in the Caribbean even though it was not being posed in Guyana. They did not discuss the events of 1970 in Trinidad. They did not discuss 1937 to 1938, and they did not discuss what was taking place in Suriname. Instead, Walter discussed some gadget, which was eventually to explode in a private car with him and his brother, with a man who had been in Burnham’s army and who has since disappeared. That was absolutely wrong, we are not discussing Burnham at all, unless we discuss those questions and the political basis for them. The chief question that faces us today is the question of the seizure of power. It is also the chief question that faces them in Guyana. Nobody has any doubt that Burnham is a catastrophe for Guyana. But that is not enough. You have to study the question of power. You have to make people understand it. You have to study my book Nkrumah and the Ghana Revolution. In this book I have a chapter called, “Lenin and the Problem,” where these matters are discussed. You have to study the Russian Revolution. You have to study Poland, where a new conception of the revolution has appeared. And you have to talk about it, not only among yourselves. You have to get your students to go and write theses on these subjects. That is the way you discuss the question. And if you are bright, and alert, you can discuss them anywhere, even in church. The Bible is full of revolutionary activity. I said the same thing in Trinidad when they invited me to speak there in 1978. I was speaking at the university and I told them, “One of the things that are needed now, one of the main things, the center of my talk to you, is the taking of power.” And all of them were there listening, the police and all of them. They could not do anything to me for saying that. I told them, “You have to study the question.” And I went on to say this, “Power was on the streets in Trinidad between 1937 and 1938. The great upheaval of the people had taken place. But nobody was there ready to take advantage of it and to do what was necessary to transfer power to the people.” I said, “In 1970, all of you know power was in the streets, the government was powerless.” I have been told by people that when the late Dr. Eric Williams heard that Raffique Shah and others were getting ready to march on Port-of-Spain, he fell down in a faint, broke his glasses, and had to be picked up. IT was a crisis: power was in the streets, but nobody knew what to do. They were not organized, they were not ready. And When I told them, “Study 1937 to 1938, study 1970. Study what was done, study what was not done, so as to be ready not to make the same mistakes in 1981 or 1982.” That was to tell them to prepare for the taking of power. And I made a statement which O do not know why they found so funny. I said, “It is no use saying, ‘Well I know he ought to go, but I don’t know who to put in his place.’” And they rocked with laughter. They knew what I was talking about who to put in his place. In Trinidad, people felt that Dr. Williams ought to go. They had had enough of him and the People’s National Movement (PNM). After 1970 they were having nothing from him. But there was no opposing figure whom they could look to, and we in the Caribbean have been trained by the colonial government in terms of a leading figure. Thus, there was no one in Trinidad who has to beware of assassination. In Guyana, Walter had advantages. He had never been mixed up in politics in Guyana before, so he had no enemies outside the PNC. He was new. He was a man with a worldwide reputation. And he was a black man who was getting on with Indians. These same advantages, however, turned into major liabilities because they made him more of a perceived threat to Burnham. Therefore, I told him, “Beware of assassination, because Burnham will kill you. You are someone who could represent the people against him.” But they did not beware sufficiently. You have to be ready for the upheaval, you do not know when the upheaval is coming. The upheaval does not need a party. The upheaval is an eruption of the people. You cannot arrange that. You can make tremendous mistakes. You may think it is twenty years away, as Lenin did. It was only a few days away. You have to study what is taking place in Iran, the complete bankruptcy of the United States. All their intelligence on Iran was to no avail. The upheaval was there coming, and when it took place, it was clear what was going to happen. You must be aware of the taking of power. That is what I want to tell you. Consider the French Revolution. It began in July 1789: Liberty, equality, and fraternity. But 1793, they were giving liberty at least to the heads of the kind and queen. The upheaval begins, it moves, and be ready. In England in 1640, the cry was “no taxation without representation.” By 1649 they took off the king’s head. Without taxation, without representation, he went. The same thing happened in Russia. These are difficult and complicated matters and you have to study them. You must not only know how the Caribbean people came there. You must not only know the things they did. You must not only know the great men who led them. You must not only know when they gained independence. You must not only know what independence is. You have to know the taking of power. That is what I have come here to say. And that is why I say that, with all his extraordinary qualities and because he began and lived in a world that we did not live in, it was natural for Walter to think in the way he did. That is why he went so far. But he lacked the actual taking of power, the thinking about that, and he failed there. I should make it clear that Walter faced the question that Burnham was ready to strike with all his force at the working class movement and at the movement as a whole. That is the fact, and Walter’s response to that was what I have said it was. But he had to wait, because he did not have the upsurge to fight Burnham, because, in Lenin’s phrase, “Insurrection must rely upon the revolutionary upsurge of the people.” And I have given you examples of the revolutionary upsurge of the people. That it was coming in Guyana I was certain., very certain. It had taken place in Suriname. Where else, how much closer do you want it to take place? And they pain no attention to it. A lot of things happened in Suriname, and they never sent anybody over there to observe. You could have walked there, I believe, and come back to tell them. That is the situation by which the population would have been prepared for the final and the ultimate, which is the art of insurrection. So Walter was faced with, as is everybody who is faced with insurrectionary situation, a very difficult situation. But I think that he was driven to act without the powers at his disposal that were his. And I do not think that Burnham could have struck and destroyed these forces without the forces responding and giving something in return. That tremendous upheaval of the population in the French Revolution , in the British Revolution, in the Russian Revolution, in the revolution in Iran, everywhere, this is what you have to depend on, and Walter did not wait for that. He tried to force it. There was a danger that Burnham would strike, but I do not believe that, with the people there, Burnham could have put them in jail, and so on. On the contrary, maybe any attempt of his to act impatiently might have unloosed the upheaval, because it was there. My business here is not to point out the mistakes that Walter made. IT is to point out the necessity of your not making similar mistakes and to see that you discuss that and be aware of the taking of power. You cannot link the taking of power to organization in the sense that is at the back of many people’s minds, that is the question of the party. Lenin said specifically, not the party. He said it is something in the people. But I will go further and make a generalization. When the people move and there is an actual organization there, the element of people, joining together to occupy the leading position will be sufficient. In France when July 14th took place, there was no party. When Trotsky said that in 1917 in Russia it was the Bolshevik party that led the first revolt, he was wrong. The party did not lead. The upheaval took place anyway. It is good to have a party. But even if you do not have a party, Lenin’s point is to get the basic objective social and political circumstances that are the inevitable bases to work on the art of insurrection. But you organize by all means, and the more you organize the better. But do not link the question of the organization to the seizure of power. But do not be afraid about the upheaval if you have 90 percent of the population against the government. Never believe that only one body of people and machine guns will get rid of the upheaval. Sometimes that is what brings it on. These upheavals that I am speaking about are not initiated. If you know the Jamaican situation in 1937 and 1938, they were not initiated by anybody. Before the 14th July in France, nobody knew. Before the great upheaval in Iran, the Americans had all sorts of Central Intelligence Agency people and others here investigating and they did not know. These are upheavals like earthquakes. The revolution, the upheaval of the masses of the population, is a tremendous event that people cannot control. So we have to accept that. You do not initiate those events. You can depend upon the counterrevolution to do it. To use the word “initiate” would mean that the responsibility is on the party to do that. That is no so. Be sure that it is coming, and it had always come. The latest one is in Poland. 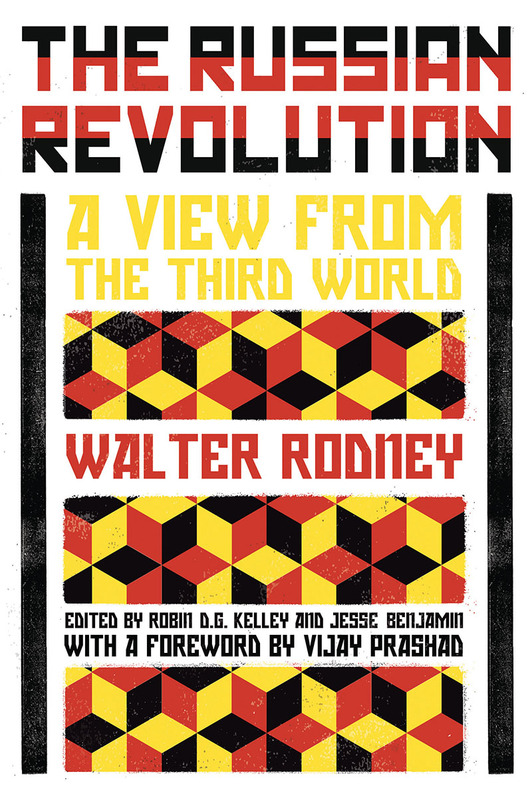 I hope somebody will make it his business to write a thesis on what happened in the Guyana revolution and the death of Walter Rodney, which is not just he death of a singular and remarkable individual. It is a whole political problem that is involved there, and I would like you to work at it that way. Essay originally published at the Marxist Internet Archive. Transcribed by Damon Maxwell. 4. Learie N. Constantine, Cricket and I (London, 1934). The author is a great Trinidad-born cricket player, was knighted by the queen of England and became Lord Constantine. 12. The Westminister model of parliamentary government was inherited from the British in the English-speaking Caribbean. 13. V.I. Lenin, “One Step Forward, Two Steps Back (The Crisis in Our Party),” a polemic piece written in 1904, partially reproduced in Tucker, Lenin Anthology, pp.115-119. 17. In Suriname on 25 February 1980, the elected government was overthrown in a nearly bloodless coup d’état by 16 army noncommissioned officers in reaction, among other things, to the authorities’ persistent rejection of repeated requests by the noncommissioned officer class for “pay increases, increased promotion oppurtunities, and above all, government recognition of a military union.” Cf. Gary Brana-Shute, “Politics in Uniform: Suriname’s Bedeviled Revolution,” Caribbean Review 10, no. 2 (1981) 24-27. 18. C.L.R. James, Nkrumah and the Ghana Revolution (London, 1977). 21. The People’s National Movement (PNM) has been since the independence the ruling party of Trinidad and Tobago. Cf. Selwyn E. Ryan, Race and Nationalism in Trinidad and Tobago (Toronto, 1972); and S.E. Ryan, Edward Greene, and Jack Harewood, The confused Electorate: A Study of Political Attitudes and Opinions in Trinidad and Tobago (St. Augustine, 1979), esp. pp. 22-26. 22. That was, of course, before December 1981, when they polish government cracked down on the Solidarity labour union. 23. When Trotsky left the Soviet Union to go into exile in Mexico he settled in Coyoacan, a suburb of Mexico City, in January 1937.